Iraq on Tuesday chaired the meetings of the Economic and Social Council in the Arab League at the level of senior officials to the Sultanate of Oman during a meeting of the Council whose agenda discussed the adoption of the transit agreement between the Arab countries. 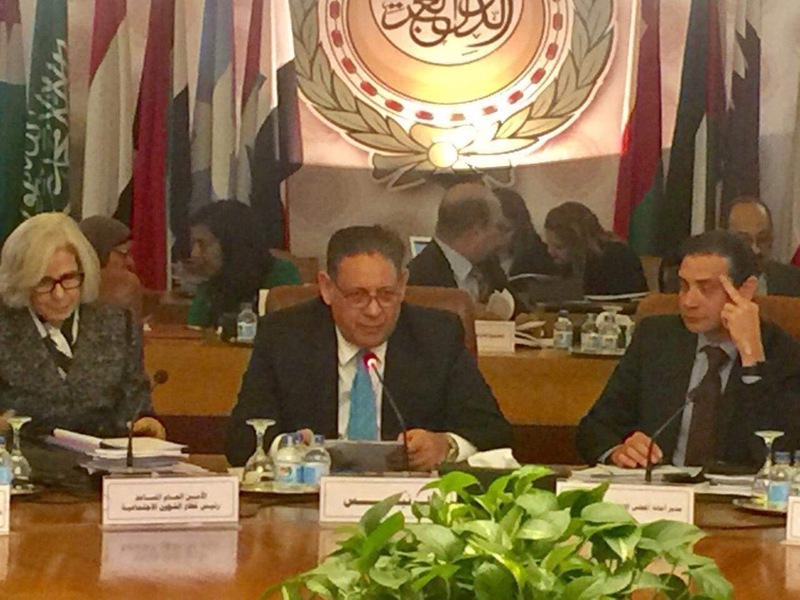 "The Director General of the Department of External Economic Relations, Adel Khudair Al-Masoudi, chaired the delegation of the Republic of Iraq in the meetings of senior officials participating in the 103rd Session of the Economic and Social Council of the League of Arab States for the Social and Economic Committees. Mr. Imad Al-Ajmi, representative of the Sultanate of Oman to the social and economic committees after the presidency of the Republic of Iraq for the regular session 102 and the extraordinary session of the Economic and Social Council that preceded the economic and social development summit held in Beirut, Lebanon. " The statement said that "was attended by the Assistant Secretaries-General of the Social and Economic Committees, Dr. Haifa Abu Ghazaleh and Dr. Kamal Hassan Ali." He thanked Masoudi Abu Ghazaleh and Ali and their employees at the Arab League as well as the heads of the Arab delegations participating in the session. The ministerial meeting of the Economic and Social Council will be held in Cairo to discuss the items discussed by senior officials in the presence of Dr. Mohammed Hashim Al Ani, Minister of Commerce, who also chaired the 102nd session of the Council. According to the statement, the agenda items of the social and economic committees were discussed during the last two days, where the meeting of the Social Committee included (9) items and then taking special decisions in addition to (15) items of the Economic Committee. The statement pointed out that "the most important was the sixth item on the subject of the adoption of the transit agreement between the Arab countries, which pointed to the need to refer to the Arab countries to discuss their reservations, especially that there is a reservation to the Republic of Iraq and the Arab Republic of Egypt and the Hashemite Kingdom of Jordan for the purpose of reaching a new formula acceptable From all Arab countries. "